IBPS Recruitment 2018 7275 CRP Clerk VIII Posts The online examination (Preliminary and Main) for the next Common Recruitment Process for selection of personnel for Clerical Cadre. All the Interested candidates may apply online before 10-10-2018. 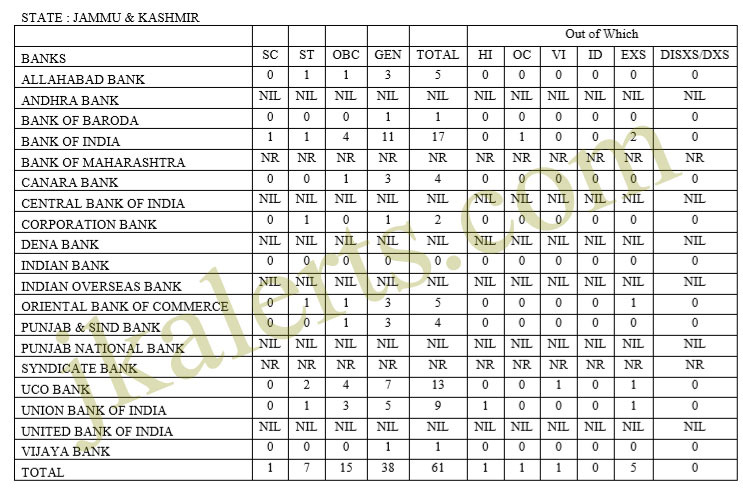 Jkalerts will provide you the complete detail about this Bank jobs notification like Eligibility criteria, How to apply Online, Important dates, Age limit with relaxation, post by category, Selection process & official notification. So interested candidates are requested to read it carefully to apply for Bank Jobs in Jammu and Kashmir and other states of India. For IBPS Bank Jobs in Jammu and Kashmir Upcoming jobs notifications Selection Lists and Results update Free Job Alerts and Updates for both Fresher and Experienced Candidates. Keep Visiting Jkalerts.